Another year has flown by and we are into December already! 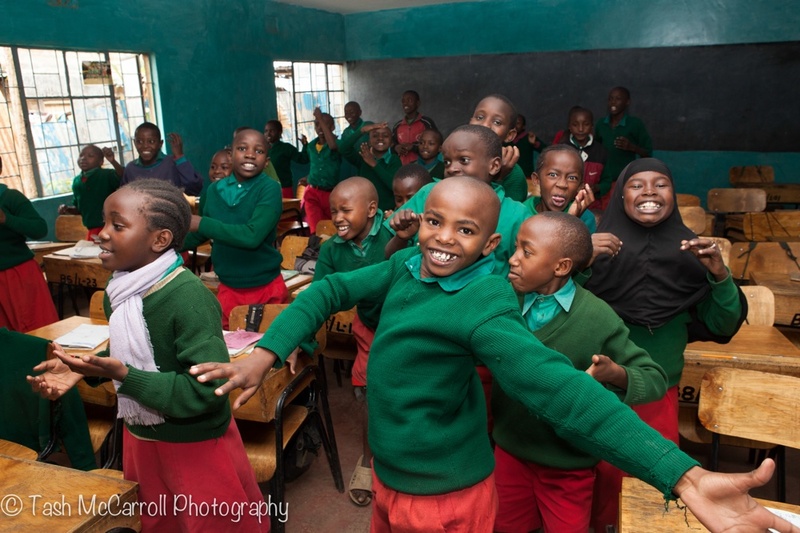 The last picture on the calendar was taken in Kenya at a school supported by Hope Global a team from Australia who do mission work around different countries in Asia and Africa. 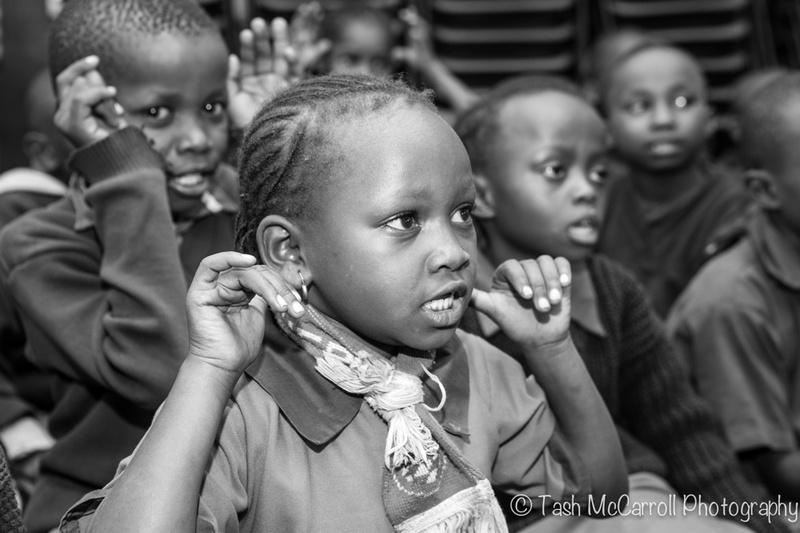 Just a photoblog here with some photos from time spent in the classrooms at the school with some kids who love learning! 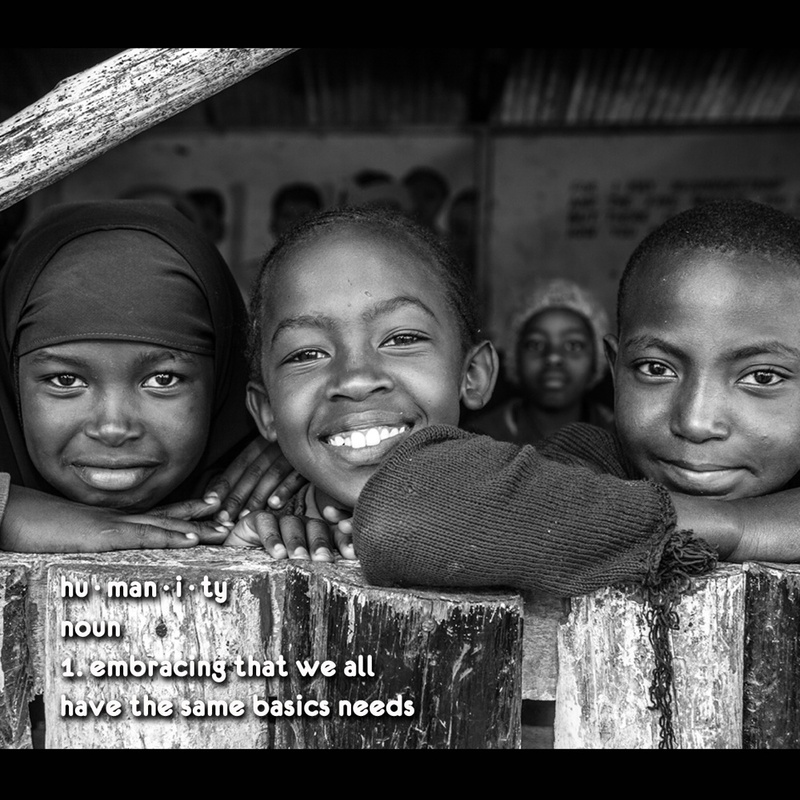 At the end of the day we are all human and I believe we all want/ need the same basic things in life… To be happy, safe, healthy and have an opportunity to be all we can be! 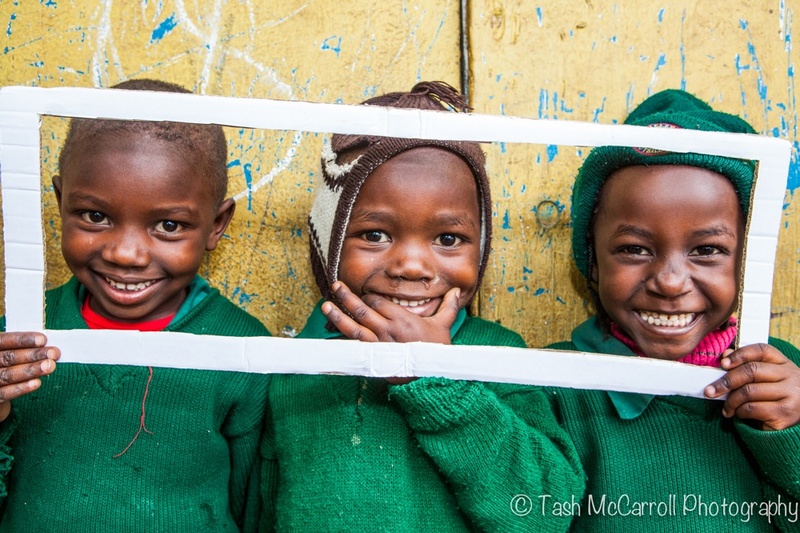 I haven’t created a Calendar for 2015 but Hope Global has with a few of my images tucked in there too… sales support a great cause so have a look here! 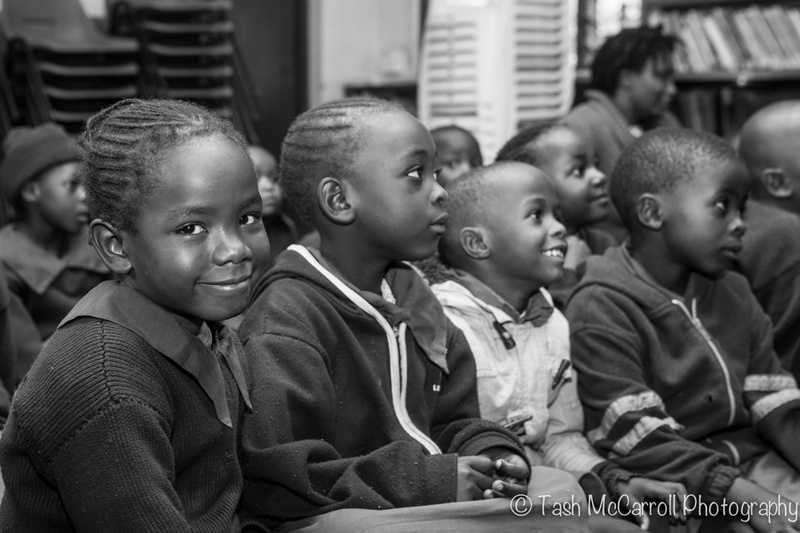 Last year I was in Kenya doing some work at a school in Nairobi. I met this wee guy he followed me round every time he had a break. He just wanted to hold hands, be hugged and loved on – nothing more. 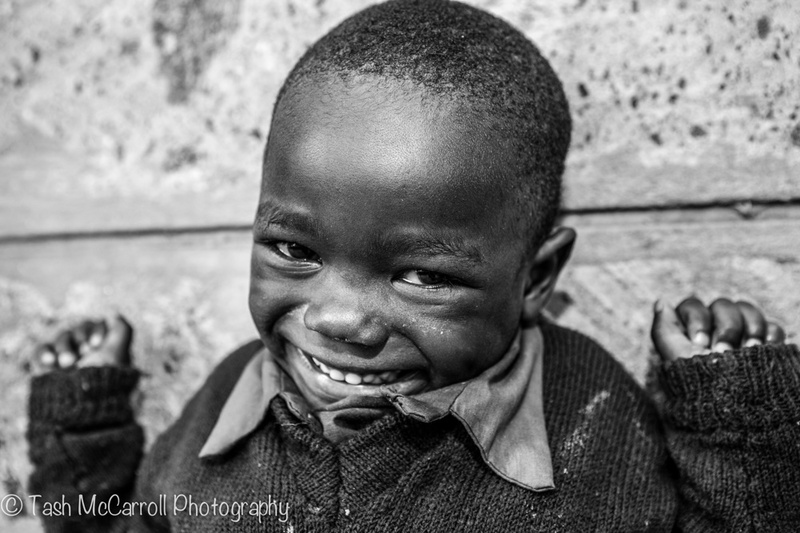 I got to spend a few days with him… he was very keen on the camera and seeing his pictures and would go grab anyones hand who was dangling free. He has a mum and a dad who undoubtedly love on him as much as we all did. 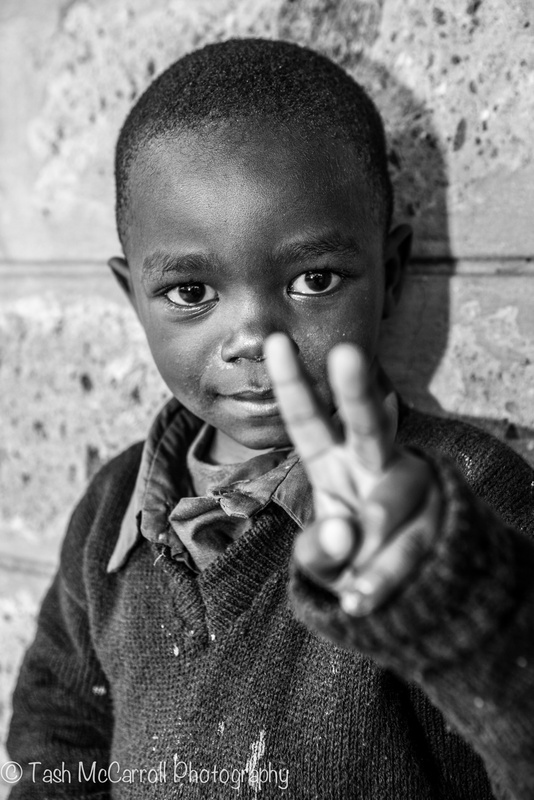 My time with him was short but his impact on me was positive and big – Unconditional, smiling & open! I love this video and amazing commencement address by David Foster Williams made in 2005 This is water. His impact on that day would have been huge I am sure for those students who heard him speak but it wasn’t until years later after his death that the video went viral and has impacted so many more people… maybe you too if you take the time to watch it! People come in and out of our lives and we have the ability to impact them – it can be for a short time or a longer duration. 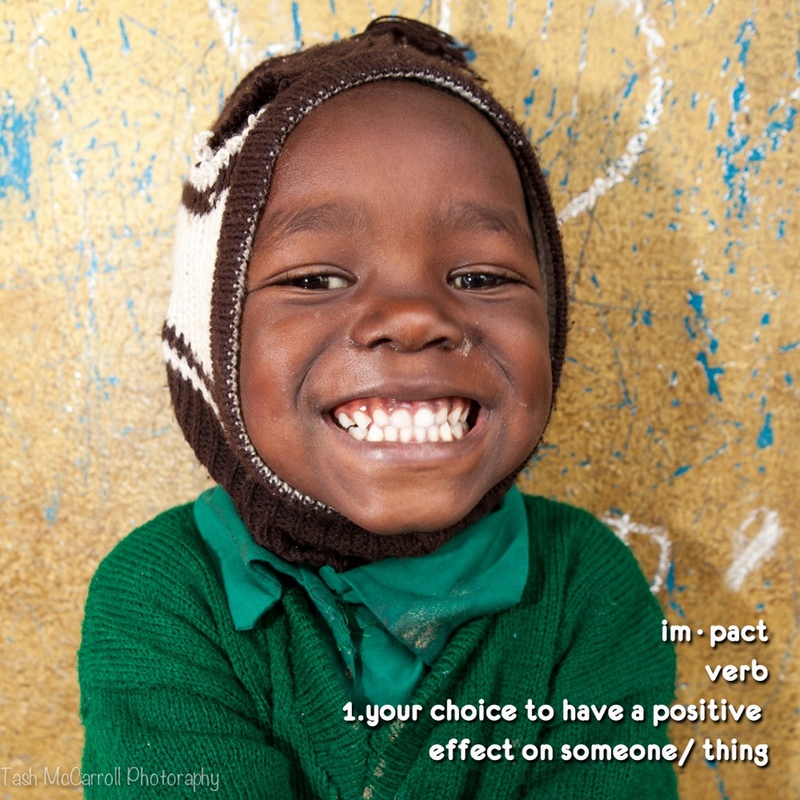 I don’t think we ever really know our impact on others or influence we have…. it should always be positive! 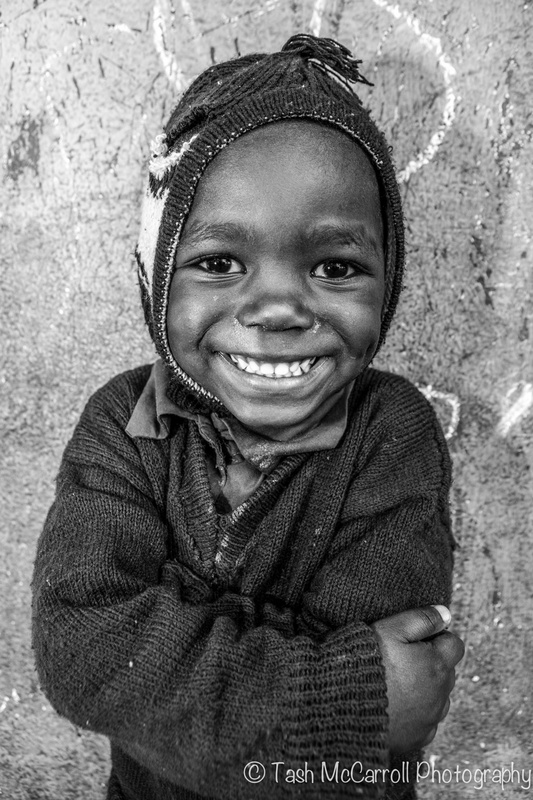 So I leave you with this SMILE! We had a play around on the phone with my photobooth app. It’s about time I told you about Marie Ann Corsino! 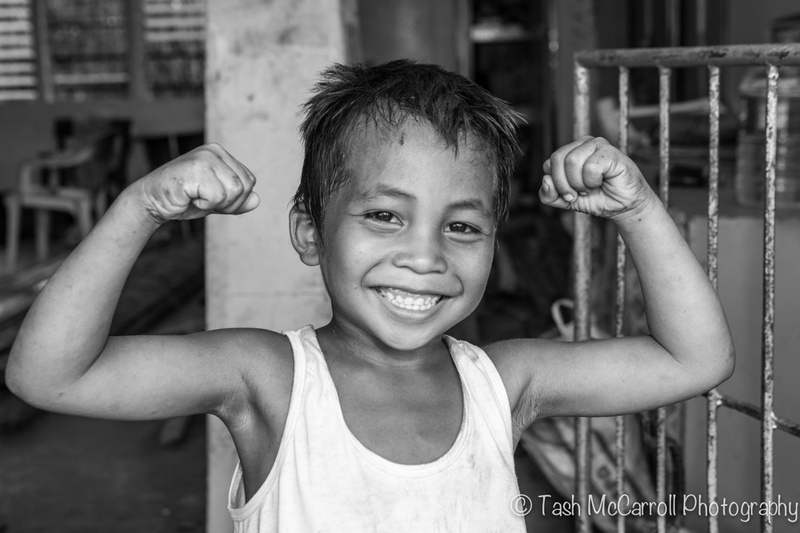 I have been meaning to put together several blogs about the trip I took to the Philippines in January. They are written in my mind & I have the images I just need to type them up. 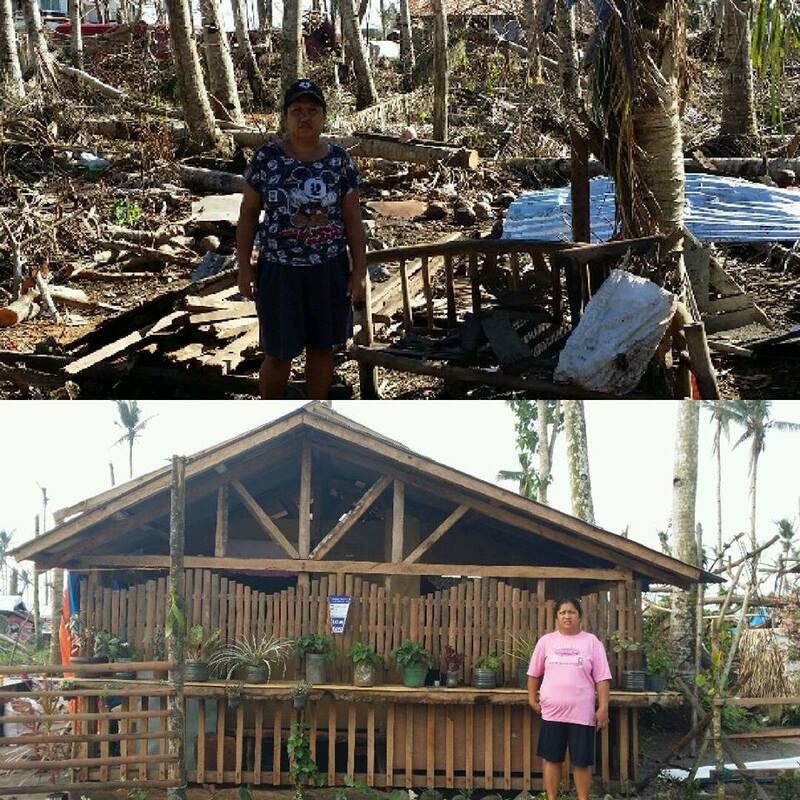 However, for now I wanted to introduce you to Marie Ann Corsino who made our/your direct & immediate support, to some of the people hardest hit by Super Typhoon Yolanda, possible. I first met Ann in person when we arrived into Tacloban City. Stepping off the plane I couldn’t help thinking ‘come on give these people a break! … Seriously?’. It was blowing a gale and the rain was pouring down on the tarmac as we were handed umbrellas to make it from the plane to the terminal. Inside waiting for our bags to come we watched the porters scrambling over one another frantically trying to retrieve boxes and bags before they got drenched – you see the airport had no walls and was a shell with a semi repaired roof, covered with tarps the downpour was not being kept completely out. Let me tell you a little about Ann. She greeted us with a huge smile, open arms and a ‘I can do anything for you’ attitude which continued to grow with our time in Luan. Incredibly humble about all she had done for her community and more focused on what we had done for her, it was difficult to explain to her that without the avenue to provide direct funds to and someone we completely trusted nothing would have happened; that she was the biggest link in a long chain. 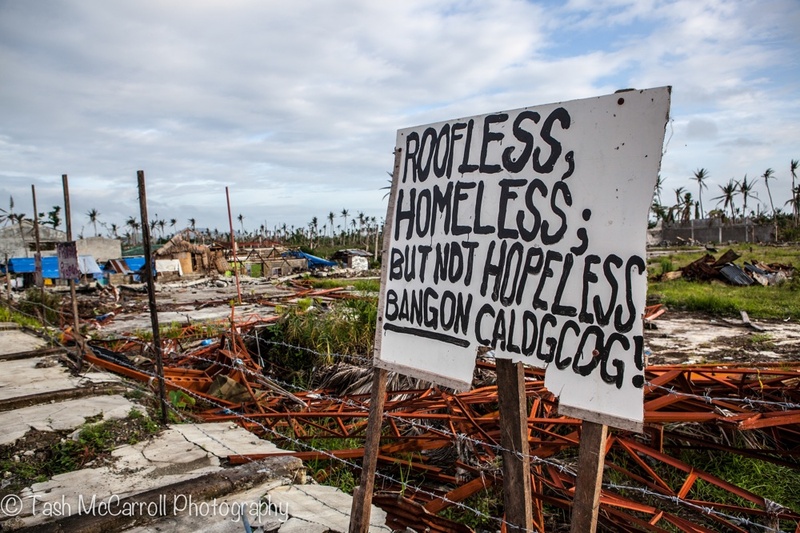 It was late January and two and a half months since Yolanda had ripped through the island and to me it looked like a bomb had been dropped, a battle had taken place and torn everything from the island except the people’s resilience and spirit. 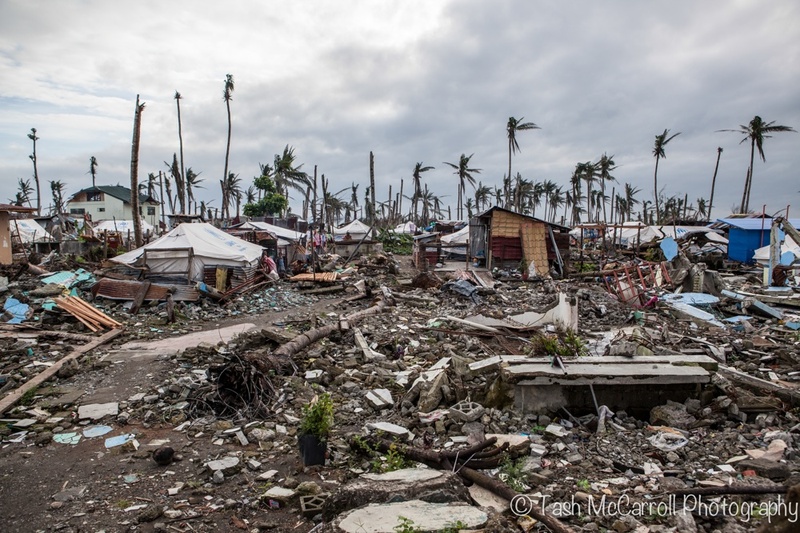 The road from Tacloban city to Ann’s village of Luan (30km south of the city) wound mostly along coastline and through many smaller towns. 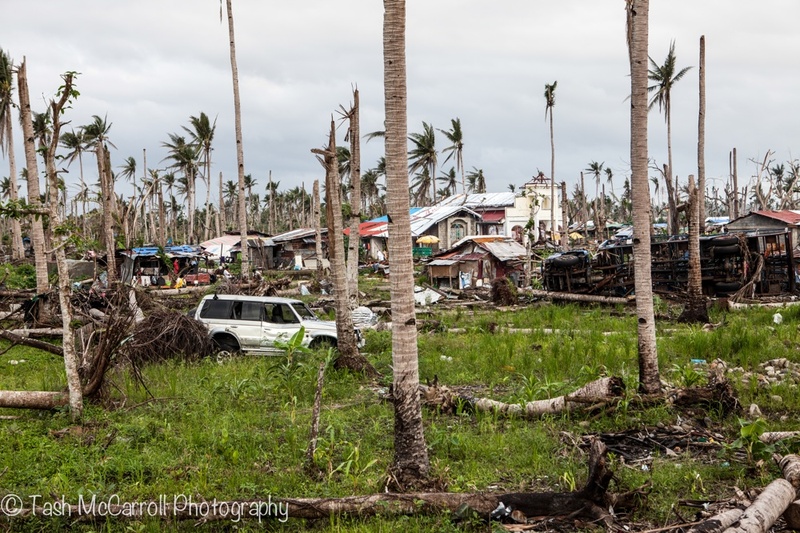 The coconut trees looked like pick up sticks, stripped bare, the roads lined with debris, wires, power lines lay thrown across the roads and houses, cars stacked like they had been thrown across the street, trucks dumped into fields, it was hard to work out where houses had been & what was makeshift housing. Roofing on huge buildings was like a banana peel pulled back and just left hanging. Ann was born in Manila and moved to Luan, Dulag when she was in grade 5. She had always been top of her class in high school which she describes as her passport to scholarships in college and postgraduate courses. She also supported herself through medical college by tutoring her classmates at night. Ann knows the hardships of growing up with limited resources and living day to day off the land. She had seen her grandfather and parents struggle and through tears spoke about the miracle it was for her to be able to study and receive such an education. After studying Ann decided she would move back to Luan in Dulag, her family’s village. 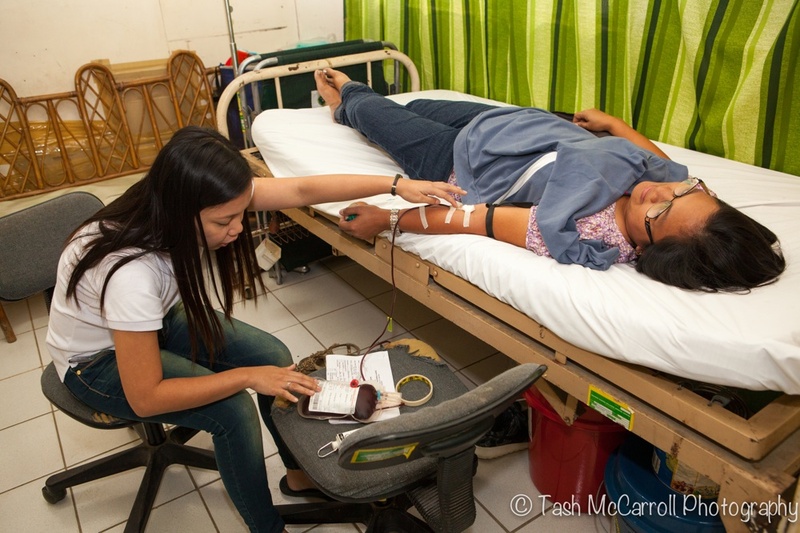 Her parents were getting older and she saw a huge need for a clinic to be set up in Dulag. Ann says she has dedicated her life to helping others and hopes to give them opportunity she had. Growing up in a family where compassion for others and giving were natural things it’s no doubt Ann told me clearly “the more you give, the more you get”. 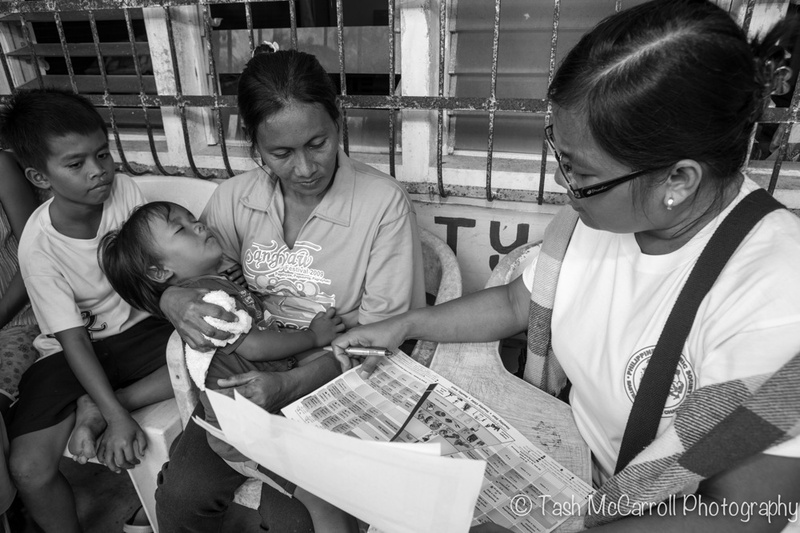 Four years ago Ann came back to set up a clinic in Bethany Hospital, Tacloban and another one in San Jose, Dulag. In many areas outside the city parents were receiving insufficient information from people not qualified and having to travel huge distances to have their children seen. Many times the expense was too much to make the trip so they wouldn’t be able to have their child treated. Setting up the clinic in Dulag solved a lot of these issues. Seeing Ann with her patients and their caregivers was inspiring. She truly did “treat each patient as if they were my child, niece, nephew, or family member”. 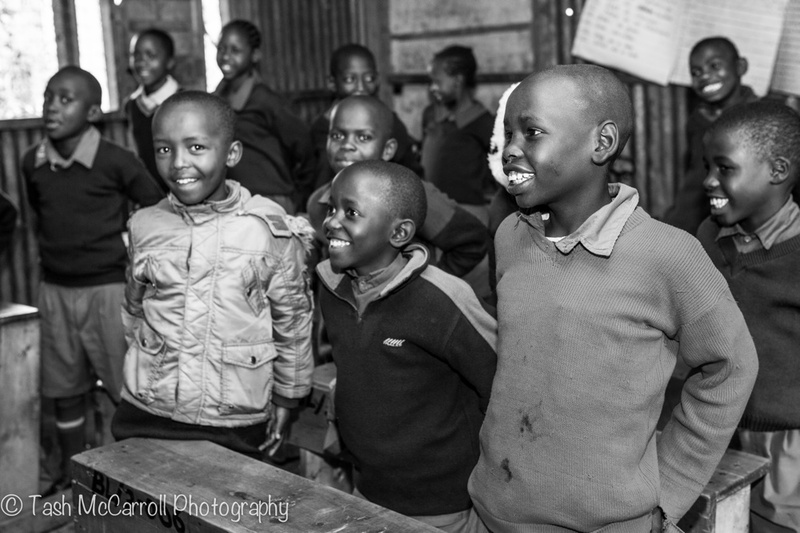 As a pediatrician Ann see’s a huge part of her role as being an educator in the community. Teaching mothers the importance of breastfeeding, especially important over the Yolanda period with contaminated water. When Ann treats her patients there is a personal nature about it. 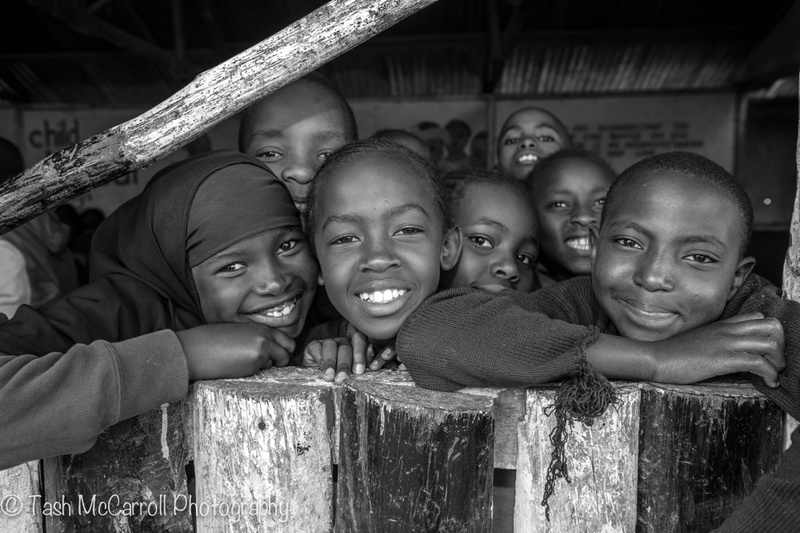 With older children she talks to them & asks them questions “what do you want to become?” It was when one child told her “I dream of nothing” that she decided she had to come back. “Dreams are free” she told me “everyone should have dreams”. Ann giving a mother a reminder on how to best position her baby for breastfeeding. Giving one-on-one nutritional advice to parents & guardians based on a 24 hour food recall for their children at Luan Elementary School. Under my mosquito net writing by headlamp I could hear the crashing of waves only 50 meters from Ann’s house, which had withstood the typhoon. I tried to imagine what the memory of living through the storm would have on people and how they could sleep at night hearing the waves. As we sat on the couch the next morning I didn’t imagine Ann would open her heart and tell me her story or the impact recalling it would have on both of us. On Friday 8th November 2013 around 4.30am the strong winds started. The electricity went out at around 5.30am. Ann recalled the events to me with tears running down her face. For seven hours they hid in the house. She had made a decision she would tie herself to her mother so at least when her family found them they would know they had been together. There was no doubt in her mind what was going to happen. 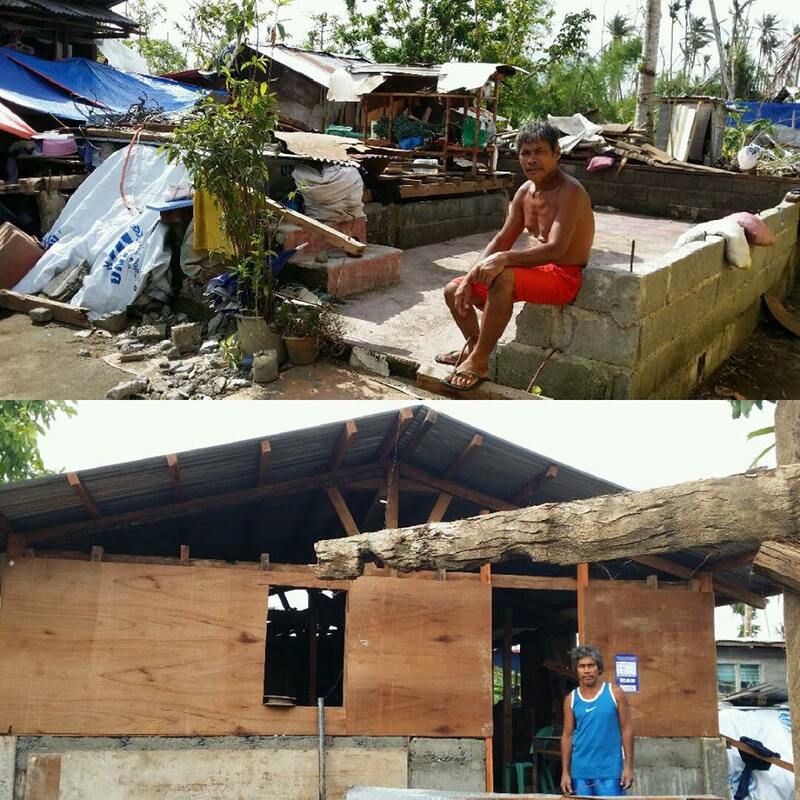 However, her home withstood the Typhoon and around 11.30am the winds died down. 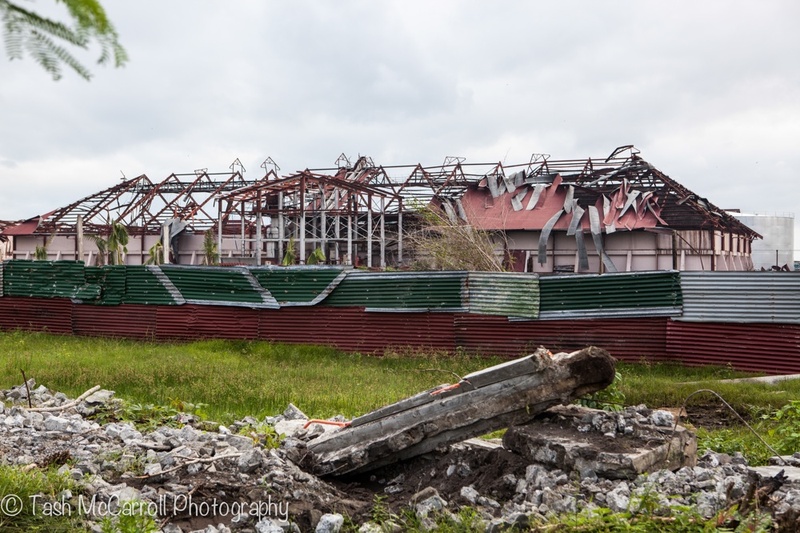 Ann recalls leaving the house and seeing complete devastation of the village. “Everyone was crying and there was just complete hopelessness around”. Houses completely flattened & trees stripped bare. Signs along the roadside displaying while homeless there was still HOPE. 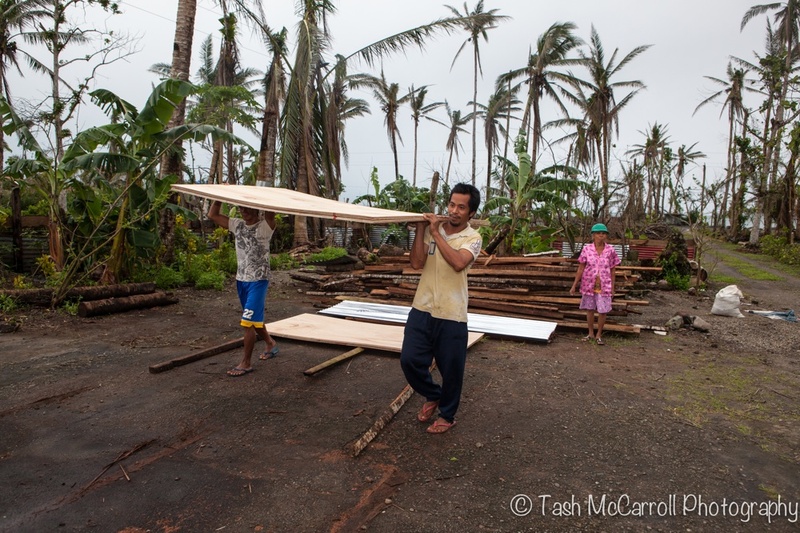 Village members collecting plywood to rebuild their homes from Ann’s backyard. Within weeks Ann had received support from friends, classmates, family and other connections she had made through her outgoing personally and ability to display her true conviction to the cause. Ann personally visited with every family in Luan village who asked for support, individually assessing their homes to ensure funds were distributed fairly and in line with needs. 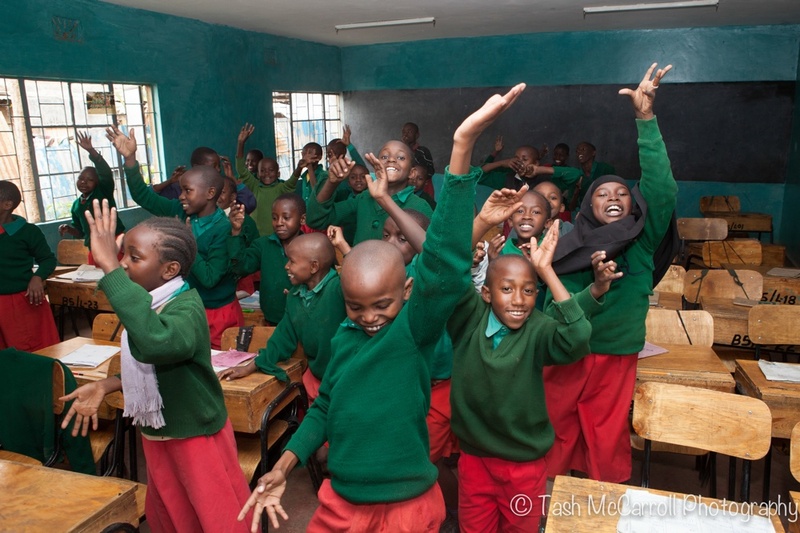 Every home was repaired, rebuilt, along with the roof at the Elementary school so the children could go back to class. 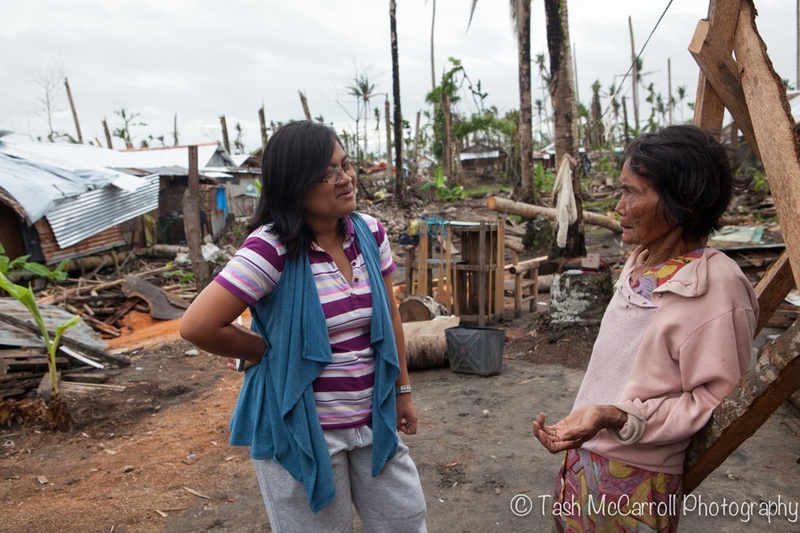 Ann speaks with a women from the village assessing her families needs. 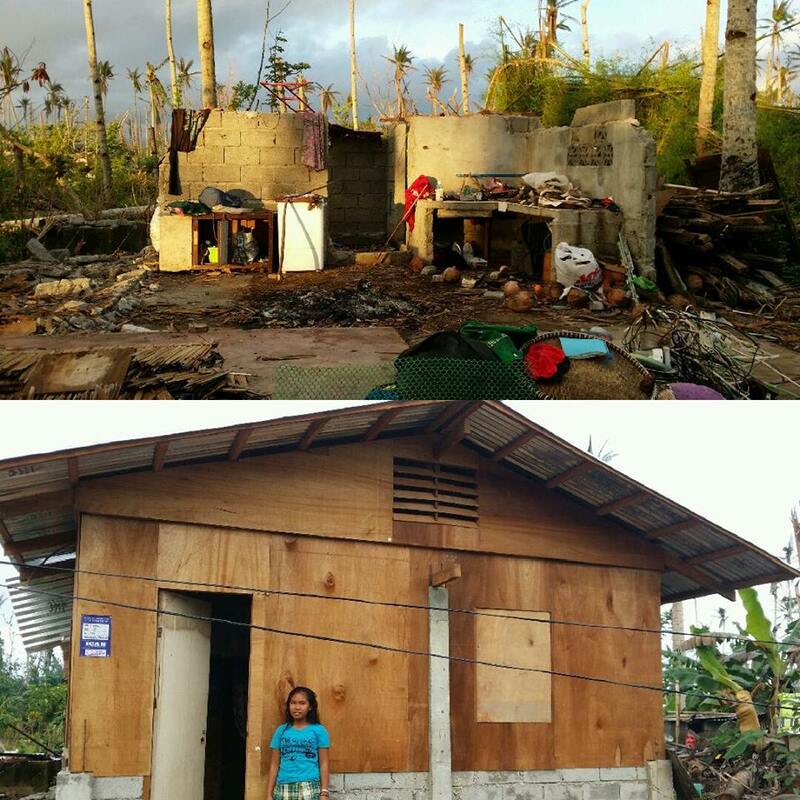 Images by Ann – After Typhoon Yolanda hit & after the rebuild support. While Luan Village is now rebuilt there are still many more in neighbouring villages who have not received much needed support and funds. Ann has been approached by members of other communities asking for assistance, which she has agreed to give, with assessment, provided the support keeps coming in. 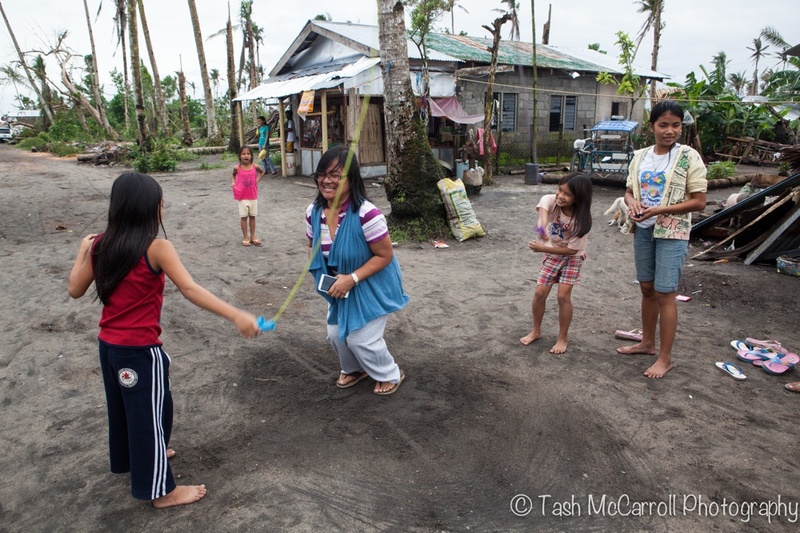 A whole lot of smiles & strength after surviving the super typhoon!